AeroLynx | Come Fly With AeroLynx! AeroLynx meets on-demand handling requirements where limited volume or lack of facilities precludes the use of large aircraft. Overnight or within a few hours, our air and ground team is poised to meet your time critical needs 24/7. For business or leisure. Save time and discover conveniences found only on private charter flights. 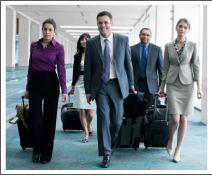 From executive business to sporting events to vacation travel, we cater to your specific itinerary with your safety and security paramount. Specializing in time-critical shipments including pharmaceuticals, documents, and medical specimens. Same Day or Next Flight Out. Hazardous Materials Certified. Aerolynx is a leading provider of expedited freight and passenger charter services. Day or night, our established protocol and constant oversight provide excellent customer service in an industry that demands high standards. Each day we meet the needs of our customers with a philosophy driven by our core values: Deliver on promises made; work with passion, commitment, and enthusiasm. Aerolynx meets or exceeds regulatory compliance and stringent FAA rules. When you charter an aircraft from us, your flight is designed to suit your specific itinerary with dedicated professionals assisting you every step of the way. We are much more than an air charter company. From our Chief Pilot to affiliated ground crew, we are air logistics arrangers with a proven track record of safe, timely, and reliable air transportation services. FAR 135 On-demand Air Transportation for How You Fly Today. While commercial airlines fly to 200-230 of the largest airports in the world, Aerolynx flies to a greater number of airports throughout the USA. As a provider and logistics arranger of charter flights, our preferred relationships enable you to get on your way with safety always paramount. Experience adventures the whole family or business traveler will enjoy. Aerolynx caters to all types of travelers seeking respite, adventure, or a trip to seal-the-deal. While commercial airlines fly to 200-230 of the largest airports in the world, Aerolynx flies to a greater number of airports throughout the USA. Click here to find out more. © 2012 Aero Charter and Transport Inc. dba AeroLynx. All Rights Reserved.